If you ship hazmat via ground, air and vessel this course will give you the certification you need. Interactive PowerPoint with audio and video. Certification recognized by all carriers such as FedEx, UPS, DHL, etc..
DO YOU PACKAGE HAZARDOUS MATERIALS FOR DOMESTIC AND INTERNATIONAL SHIPMENTS? If you’re researching online training for shipping hazmat overseas, you may be surprised to learn the number of employers and employees who need to complete this kind of training to execute their duties. 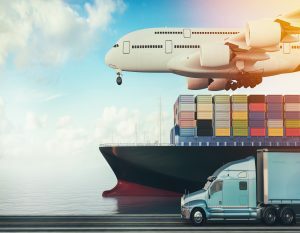 While you may take it for granted that people charged with physically transporting dangerous goods from one location to another must undergo the requisite training, drivers, pilots and ship captains aren’t the only individuals who must earn their multimodal hazmat shipping certification. Even the people who are responsible for packaging dangerous goods must complete an initial round of training and earn a certification. They also have to get recertified in subsequent years by completing further training courses. Don’t let the mandated training deter you from pursuing a career in an industry that requires you or a crew you oversee the packing of hazardous goods. You can earn the necessary certification for shipping hazardous materials internationally online through Hazmat School. By offering IMDG training for shipping hazardous materials by vessel online, we enable you to complete your coursework any time of day or night and from any location that has an internet connection. DO YOU SHIP INTERNATIONALLY BY AIR AND SEA? If your organization ships dangerous goods to locations outside of the United States by air and sea, you and your employees will need to earn a multimodal hazmat shipping certification. By completing IATA and IMDG training for shipping hazardous materials online through Hazmat School, you’ll have physical proof that you’ve finished your coursework and passed the relevant exam. That’s because you’ll receive your certification instantly. As an employer, you can set up a corporate or group account so that you’ll be able to run reports, monitor your employees’ progress with their courses and access your staff’s certifications whenever you want or need to do so. If you package hazmat or you ship dangerous goods by air and sea . . .
THEN THIS COURSE IS WHAT YOU NEED! Our online DOT/IATA/IMDG course is designed for anyone involved with hazardous materials that are responsible for overall compliance with domestic and international (US DOT, IATA, and IMO) hazmat/dangerous goods regulations. Training is designed to help meet the DOT requirements found in 49 CFR 172 (Subpart H), IATA’s hazmat training requirements in IATA DGR 1.5, and IMO’s vessel hazmat training mandate in IMDG Code 1.3.1. A hazardous material or dangerous good is any item or agent that poses a possible threat to people, animals or the environment on its own or through its interaction with other things. Because hazmat has the potential to be harmful, people who work with dangerous goods on any scale and in any capacity are required to undergo mandated training for their own safety and the safety of others as well as the environment. International hazmat shipments often employ several modes of travel before the material reaches its final destination. These include the automotive, refrigeration, pest treatment, recycling, weapons, ammunition and fireworks industries, to name just a few. If your business competes in an industry that involves international shipments of dangerous goods, you needn’t look beyond Hazmat School for the online IATA or IMDG training for shipping hazardous materials you and your employees need. Complete the course on your own time and at your own pace and pass the final exam to earn your certification. To learn about the discounts we offer government employees and corporate or group account holders, contact Hazmat School today. Meet the federal requirements of 49 CFR, Part 172.704 for certification in hazardous materials handling and transportation. List the various laws relating to hazardous materials handling, response, and transportation including those related to 49 CFR, 40 CFR and 29 CFR as applicable. Identify the definitions of hazardous materials and the terminology associated with safety when shipping/working with hazardous materials/wastes. Identify the types and classifications of hazardous materials and the various hazards and risks associated with them. Know the functions required for a DOT Hazmat Employee including knowledge of the Hazardous Materials Table (49 CFR 172.101), Labels and Placards, and shipping papers including signing waste manifests. Define work practices by which employees can minimize the risks associated with working around hazardous materials including proper handling to avoid accidents. Identify various hazardous materials/wastes using the Department of Transportation (DOT) Labeling system. Identify emergency activities related to hazardous materials releases and of the employee’s role in emergency activities. Define Security Awareness including risks and response to security threats. Identify function specific operations to which the employee will be expected to perform including proper marking and labeling of packages and containers, shipping papers, packaging, and other required duties. Shipping dangerous goods by air carries a high consequence of error! Staff of freight forwarders* involved in processing dangerous goods consignments. *Freight forwarding that does not involve handling, storing, or loading cargo, mail, or baggage. If you ship hazmat by vessel, your carrier may require your packages to meet international standards. IMDG training is required for all persons who transport dangerous goods according to IMDG Code 1.3. The IMDG training rules are recommended for shore-based personnel. However, vessel carriers often require compliance with them as a condition of accepting your shipments. These rules apply in addition to the US DOT Hazardous Materials Regulations. The DOT also requires hazmat employees to be trained on all applicable modal rules. Failure to comply with the IMDG Code can result in civil penalties, rejected shipments, incidents in transit, and carrier blacklisting. Prepare or sign dangerous good shipping papers. The IMDG Code is produced by the International Maritime Organization (IMO), an agency of the United Nations charged with maintaining the international rules for shipping dangerous goods by sea. The IMDG Code is based on the United Nations Committee of Experts recommendations. These are the official international rules for dangerous goods transportation by vessel. In order to do business with many vessel carriers, you must comply with the IMDG rules. Upon successful completion of this course, participants will be compliant with the International Air Transport Association (IATA) and International Civil Aviation Organization (ICAO) dangerous goods shipping requirements; IMO’s vessel hazmat training mandate IMDG Code 1.3.1 and will have met one of the “function-specific” elements of the Department of Transportation’s (DOT) hazmat employee training (as this relates to 49 Code of Regulations §172.704). 1. Complete a multiple choice question examination with at least 75% accuracy.